The Derek Jeter farewell tour begins tonight in Houston, as the Yankees take on the Astros. This will be the captains final opening day of his career and the first of many special events he will partake in this season. As if the Yankees don’t draw a big enough crowd as is, now each and every game they play this season will be a hot ticket. Every city the Yankees play in will bring high demand, as fans will want to see Jeter in person one final time. Yankees stadium will surely be filled throughout the season and tickets down the stretch will be going for astronomical amounts. This will be nothing new to the Yankees and their fans, as they went through this exact situation last season with Mariano Rivera. But even the Rivera farewell tour will not compare to that of Jeters. After all, he hasn’t just been the face of the Yankees for all these years, you can argue he has been the face of Major League Baseball. 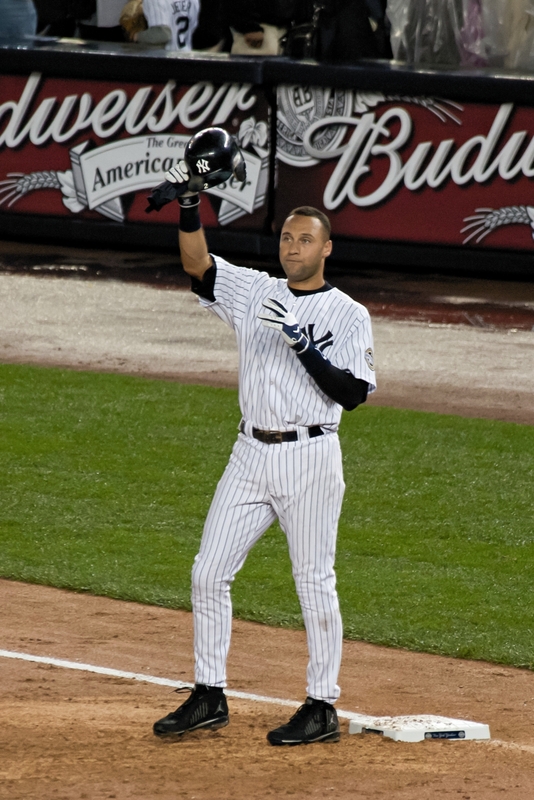 For a sport that has lacked nationally recognized stars in recent history, Derek Jeter has been just that. You could show the most casual sports fan in the world a photo of Derek Jeter and they will know who he is and associate him with the game of baseball. The biggest annoyance that comes along with these final seasons are the farewell presents each team is bound to present. Jeter will undoubtedly receive many pointless and gimmicky gifts all along the way this season. Each will try to come up with some sort of unique memento to give in thanks to all he has brought to the game. I wouldn’t be surprised if years down the road we see a pile of this gifts discovered on an episode of “Storage Wars”, as most gifts are things Jeter wouldn’t be caught dead decorating his apartment with. Sometimes you worry that these sort of distractions could effect a player’s performance on the field, but it didn’t effect Riveria and I don’t think it will to Jeter either. He has always been a mentally strong person, a trait that has helped him succeed both on and off the field. If Jeter feels that anything is getting in the way of his game preparation and success on the field, he will quickly put a stop to it. I wouldn’t be surprised to see him look uncomfortable at times, as he isn’t one for attention being paid to himself rather than the team. Whatever the case may be, I hope Jeter is able to take some joy away from this season long celebration. I couldn’t agree more with Groch’s prediction. Jeter is just one of those special athletes who ALWAYS rises to the occasion. Next to Michael Jordan, Derek Jeter has been the most clutch athlete of my generation. There is no real stat or advanced metric to explain what I’m talking about, whenever something special happened to the Yankees, Jeter was always in the mix. He just has a knack for coming through when it mattered the most and I don’t think he will disappoint in his final season. We know how much the Yankees, and their fans, will miss Jeter. But millions of non Yankee fans, myself included, will be just as sad to see this all-time great walk away.